Nintendo doesn't think it's important to have the first console of the next generation. The next console generation is nigh, and this time Nintendo will be ringing it in with the Wii U, which is expected to launch by the end of 2012. And although rumors abound for the next consoles from Microsoft and Sony, neither company has so much as confirmed its next console's existence. While this means the Wii U is set to gain a big lead, Sony has stated that it doesn't think being first is important. Whether or not Sony's assertion was a case of sour grapes, Nintendo happens to agree. Speaking to Gamasutra in an interview, Nintendo President Satoru Iwata flatly stated that "being first in the next generation race is not important at all." So why does the company not bide its time more, and let hardware get cheaper? 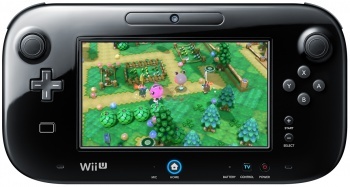 Iwata claimed that the Wii U's imminent launch is necessary because of the current state of consumer technology. Unlike at the Wii's launch, HDTVs are now a common feature in homes. More importantly, tablet gaming is gaining a lot of steam, but hasn't yet become cheaply available. Presumably, the Wii U will be cheaper than Apple's popular-yet-pricey iPad, and that will give gamers a cheaper, dedicated alternative to standalone tablets. Iwata also expects the impending launch to boost Nintendo's bottom line, as the company recently posted its first-ever year loss for the fiscal year of 2011. "Our intention is to return to profitability after just one year of losing money," he explained, attributing the downturn partly to the rocky launch of the 3DS. The handheld originally sold poorly due to its high launch price, forcing Nintendo to drastically cut the price and sell it at a significant loss. Iwata pointed out that the 3DS is already cheaper for Nintendo to produce, which alleviates some of the financial pressure on the company. But a big event like a successful home console launch would certainly help bring Nintendo's numbers back into the black. In order to help ensure that successful launch, Nintendo plans to apply the lessons it learned from the 3DS to the Wii U. Iwata recognized that the price of the new console will be "one of the most important elements" of the launch. This echoes Iwata's previous assurances that the Wii U price will be "reasonable," although it has yet to be announced. Don't hold your breath for the announcement, though - according to Iwata's statements in a recent investor meeting, both the release date and the price won't be revealed until fall.